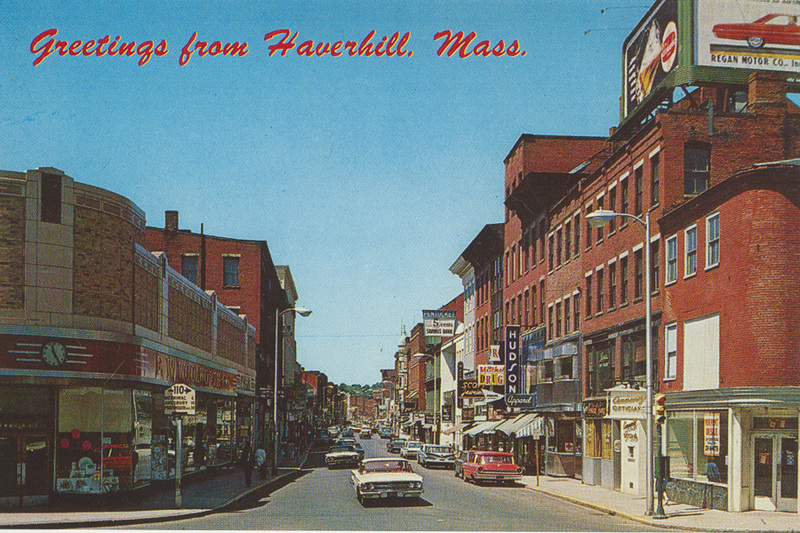 Historic New England is seeking historic photographs and film footage of downtown Haverhill, Massachusetts, for the film Woolworth’s: Remembering Haverhill’s Shopping District. Historic New England is partnering with the Buttonwoods Museum, Haverhill Community Television, and Haverhill Public Library to tell the story of the iconic Woolworth building and other downtown shops. We are looking for historic images of people downtown, interior shots of downtown stores, shop employees, and the shopping malls in town. Please contact Sarah Jaworski at [email protected] or 617-994-5970 if you have photographs, videos, or other items you want to share. Woolworth’s: Remembering Haverhill’s Shopping District is part of Historic New England’s Everyone’s History series, which shares stories of life in New England during the twentieth century and beyond. Historic New England partners with communities and organizations throughout the region to collect these stories. Projects include award-winning documentary films, interviews, online exhibitions, photo galleries, and more.